Take a moment to follow LaCure Villas on Twitter to get access to luxury travel news, ask us and our talented concierges questions about your travel plans and share your adventures with us. Imagine for a moment that you were choosing between renting one of two villas for your holiday. 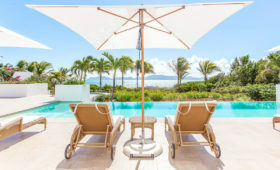 The first you love as it’s in the most beautiful area you can imagine; take any of our Turks and Caicos villas for example. The other was one that a friend had mentioned; Ah, Villa la Percha, how I remember you for all of your small niceties and special attentions. Which would you choose? Both are excellent, in fact both are in the same area, but what was most convincing was the recommendation and the attentiveness to the small details of your stay. There’s always at least one special memory that sticks with you; the completely personal treatment, the comfortable introduction to the local community, or maybe an extravagant washroom. I wanted to find out what my favourite Concierges and Luxury Travelers outside of LaCure Villas thought of as the most powerful, memory inducing aspects of a stay. I asked eight of them this one question: If you were the manager of a luxury hotel or villa, what do you think you would focus on to make sure your guests had the best possible time and why? I would want my guests to feel at home as much as possible. I would try to find out exactly what type of things they liked and appreciated and ensure they could find it in my villa or hotel. What? Their chocolate, room fragrance (or a candle), toiletry brands and of course champagne or their favourite drink. Staying in a luxury property is all about the personal touches and being a home away from home. I would also ensure I would prepare a list of my favourite places around, so they could have an exciting and really local experience. Follow Ana Silva O’Reilly on Facebook or Twitter. First impressions count and no, that is not what the brochure is for. Guest relations start at the business end, when the potential guest is making the booking. If the guest feels like a guest before the deal is even sealed, part of the battle is already won. People underestimate how important the experience of getting to the property is. The property that makes this experience as simple and painless as possible has got itself an important head start. Another important point to recognize is that the affluent traveler is not a demographic; these are individuals who want to be treated like individuals. For example, some will appreciate staff knowing their names while others may not. Every effort must be made to determine what the guest’s requirements and desires are before arrival. Again, this prep work will stand the property in good stead. When it comes to proper luxury travel, guests must never be surprised by pricing. As far as possible, I would make the minibar complimentary and minimize all hidden costs. Guests do not mind paying but they do dislike being hit with all kinds of charges they were not properly advised about. Once more, good prep work will resolve this. Follow Ashok Somon on Facebook or Twitter. Of course, practicing what we preach at Design Hotels, my hotel would grow from its surrounding neighborhood. It would have great architecture, design, gastronomy and an innovative sustainability concept — but central to the guest’s experience would be the relationship between the hotel and its community. Guests would be invited to become a part of this neighborhood and to feel absorbed in the fabric of a community. To meet locals, to be engaged, to learn, to have authentic experiences and to come home with something more than a sun tan. Hotels should serve as a gateway to experiences that locals enjoy. A great example of a hotel doing this successfully is The Thief in Oslo. More than providing great service, a stunning location and cutting edge art, it is the hotel’s connection to the community that makes it so unique. Curated maps to the city’s best in design and architecture, local fashion and Oslo’s vibrant music scene give the sense of being looked after by someone who not only really knows what’s going on but who really cares. If I were the manager of a luxury hotel or villa I would focus on the guest rooms. When I travel I am looking for an escape from reality. The best resorts I have visited do this well. Start with the bed, it should be the best sleep of your life. Feather beds over quality mattresses, high thread count sheets, fabulous pillows, duvets with crisp white linens. None of this “If you care about the environment business”, I would change the linens daily, nothing says luxury like a fresh bed every night. The bathrooms would be grand, marble, and filled with expensive toiletries. Guests should return to their fabulous retreat every night to find a small amenity; good chocolates, a cordial, a book about the area. I would want my guests to leave feeling as if they had been treated like royalty. Follow Kim-Marie Evans on Facebook or Twitter. 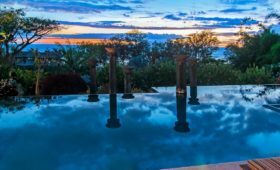 When working in the luxury industry, whether for a private villa or for an upscale hotel, one must go above and beyond what is typically expected in a traditional setting. A great villa or hotel manager must determine the guests ideal stay by actively listening to their comments, complaints and requests creating a sort of visual board of their true needs. As difficult as it may seem, he or she must be able to get the inside knowledge to be able to offer real value. Hence, villa or hotel managers aiming at providing an upscale service must focus on getting the guests to share their inner most desires and wants to then present them with the best of the best. Nowadays, true customer value lies in the unexpected, the extraordinary, the coveted and the small attention to details that bring guests to a higher plane of satisfaction. By nature, we, as humans, simply expect the usual, the feasible and the ordinary. It is the villa or hotel manager’s duty to go beyond and offer something bespoke. As a private concierge, I always aim to offer the unforeseen, the unforgettable and the remarkable. Doing this, I make my patrons live the dream and experience true luxury. Follow Maxence Roche on LinkedIn. As it happens, I *do* own and run a luxury property with my wife. It’s not a hotel or villa, but a luxury riverside apartment (known as a ‘vacation rental’ in many parts of the world, but we use the term ‘self-catering’ here in the UK). Even before our guests arrive, we invite them to share their interests or wishes with us (if they wish to do so) so that we can tailor suggestions to their specific needs. If they’d like to eat out, we can make restaurant suggestions. If they’d like advice on places to walk, we can do the same. If they’d just prefer to be left be, that too is fine. Nothing is too much trouble. Follow Paul Johnson on Facebook, Twitter, Google+ or Pinterest. If I was the manager of a luxury hotel or villa I would want to ensure that my guests go away having had a most memorable experience, so much so that they tell their friends and colleagues all about it. I find as a guest, that when you receive something that is unexpected or is above and beyond your expectations or the call of duty, that is what sticks in your mind and you will want to tell everyone about it. As we all know, the most effective form of marketing is word of mouth. So what might examples of this be? Well it could be something as simple as a room upgrade or welcome bottle of champagne on ice in the guest’s room or suite or perhaps a complimentary voucher for a health spa treatment. Arranging to take a special guest to the airport at the end of their stay can be a lovely and unexpected surprise and is what will stick in their memory, as it will be their final moments associated with your property. But whatever you do choose to do, make sure it is done well and ensure guests are made to feel like a VIP, even if they are not. Follow Simon Burrell on Facebook, Twitter or Google+. My focus would be on redefining the stay by providing experiences that are tailor-made for each guest. No affluent traveler wants to feel like a simple number in a client list, but it is unfortunately often the case. Adding a bottle of champagne or a bouquet of flowers to a room does nothing for a guest who doesn’t drink or is allergic to pollen. 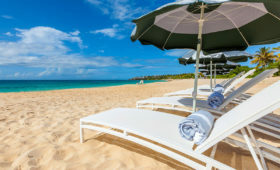 Therefore luxury hotels and villa managers need to actively listen to the personal needs of each guest to insure they create a relationship that goes above and beyond the typical brand-patron connection. How can they do this? By getting everyone involved in the personalization of their patron’s stay. For example, a guest who compliments the chef on the quality of the caviar served should receive an email with more details about the product and were to buy it. A guest who asks a concierge to arrange a golf tee time should be offered the help of an expert caddie to master the course. A guest who asks the front desk clerk for the address of the best fashion boutiques in the area should be offered the help of a personal stylist. Hotel or villa managers should spend most of their time engaging with their staff to create bespoke experiences for their guests. The era of one offering for all guests should be replaced by one offering customized for one guest. This can only be achieved by creating synergy within the brand and within the local community. Follow Roxanne Genier on Facebook, Twitter, Pinterest or LinkedIn. FRANCESCO: A professional chef at your services, available for lunch or dinner! Italian cook, very reserved, who can cook in your home, farm, agriturismo, boat, weekend house, rental home, beach house or mountain home. A chef at home, to celebrate a birthday, an anniversary, a special occasion. To surprise someone you love. To have a party at your home and enjoy it as if you were a guest! This service can be utilized for an individual event, several days, weeks, or even months. Your chef is available for holidays, baptisms, graduation, bachelor o bachelorette parties, birthday dinner, meal with important guests, family dinner, or just simply a whim, a party, a romantic evening with your loved one, to enjoy the magnificent Italian cuisine. Personalized service, ideal for those who like to organize tastings of refined products. Have a theme meal or event, such as carnival, medieval, rustic, light, carnivores, fish specialties, meat or special diets for celiac, or vegetarians. The motto is: “A restaurant at your house”, because for one evening (or lunch) you are able to transform your ?home? into a restaurant for your guests, with the advantage of the intimacy that only your home can offer! First we will meet to agree upon a menu. I will shop for the ingredients through selected suppliers; quality for me is a fundamental element. Upon request, I will also take care of the wine, paring them perfectly with the selected menu. I acquired excellent products through refined and trusted suppliers. Naturally, the budget and spending is your decision. “At home” means using the kitchen at your home or any location, properly equipped, proposed by you. Simple organization, discretion, professionalism, quality, originality, prestige & design; the sign of a complete and personalized service for every budget. Currently available in Tuscany, Lazio and Umbria, but with previous notice I am able to move all over Italy even foreign countries. Also, available for cooking classes. Organizing a cooking class at home is very easy. Simply contact me, and I will carry out an inspection to check the space and verify, the equipment needed, is there and in working order. We will set the date and time of the lesson. I will arrive at your home on that date with everything needed to carry out the event. Each cooking class is essentially a fun time where participants can actively learn every step to prepare the dishes. It will be theoretical / practical and we will discus in a friendly manner every detail regarding the subject, making sure the lesson is always fun and informal and adjusting to the participants level.